You’ll love this easy yeast rolls recipe! These easy yeast rolls — which I call The Best Homemade Yeast Rolls — are a family favorite recipe, passed down from my grandmother who really did make the best yeast rolls. Try her recipe and see for yourself! My grandmother made the best homemade yeast rolls with every weekend and holiday meal. She was so good at it. I don’t think she even had a written recipe, she just made them so often it came naturally to her. 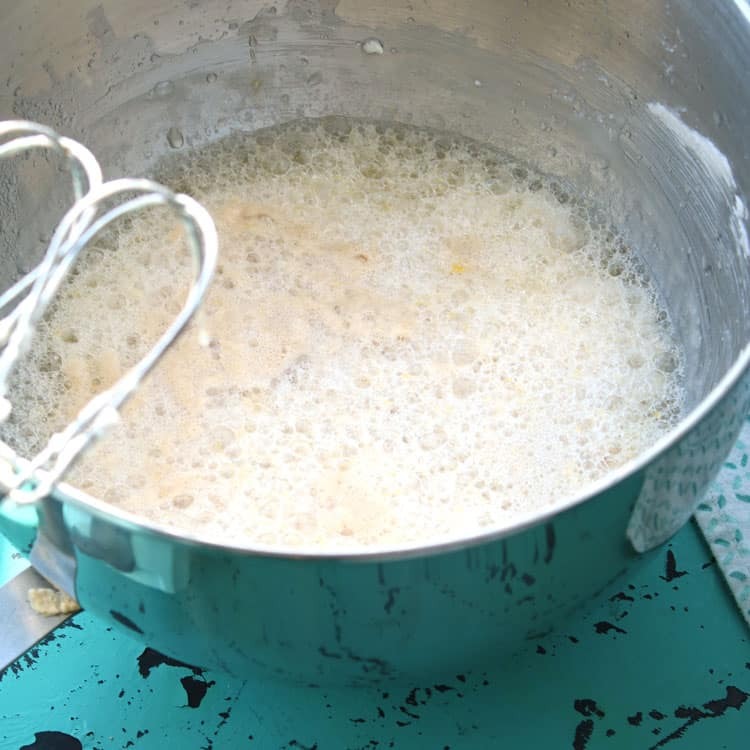 This recipe is different from the other yeast bread recipes I’ve made in that it uses a nice amount of Crisco whipped up with sugar and boiling water prior to adding the yeast mixture. The dough is sweet but not too sweet and bakes up light and fluffy. Are These Yeast Rolls Actually Easy? If you do a Google search for “easy yeast rolls” (doing so may be how you landed here! 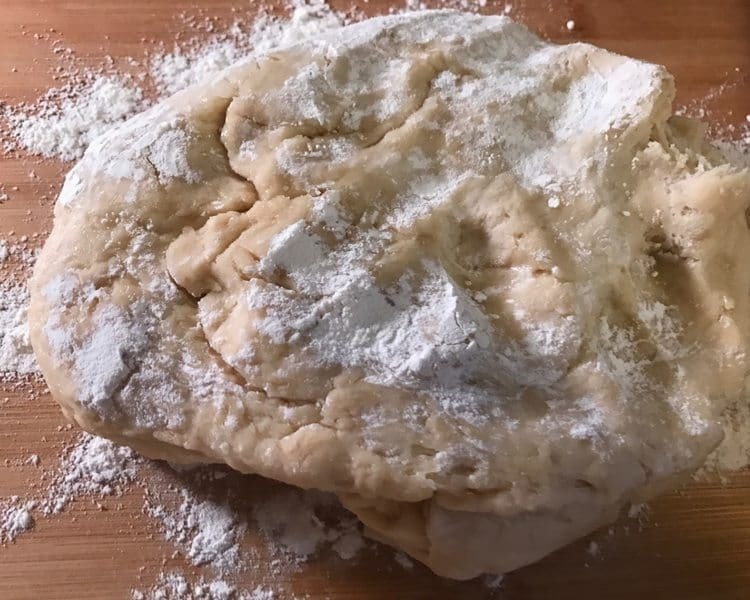 ), you’ll find that all yeast roll recipes take several steps, even the ones marked “easy.” Please don’t be intimidated by this recipe because I promise you it is indeed EASY! No step is difficult, even if you’ve never made yeast rolls before in your life. I’m actually going to take you through each step so you can see exactly how to make these rolls. Let’s get started on these easy yeast rolls! 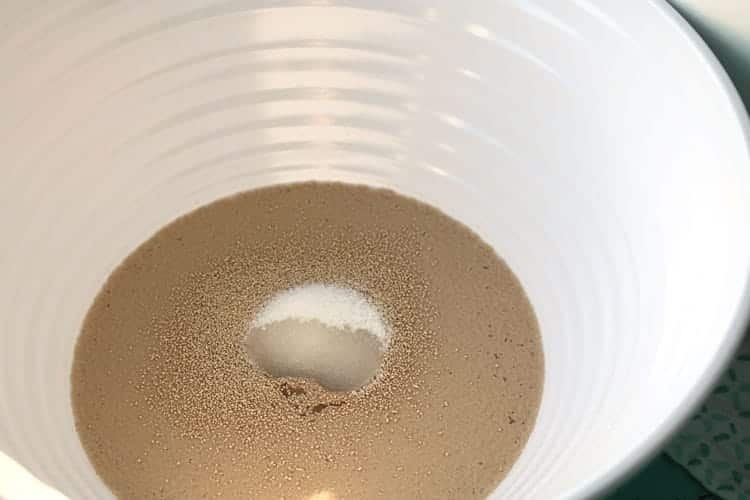 Step #1: First, add yeast to 1 cup warm water. 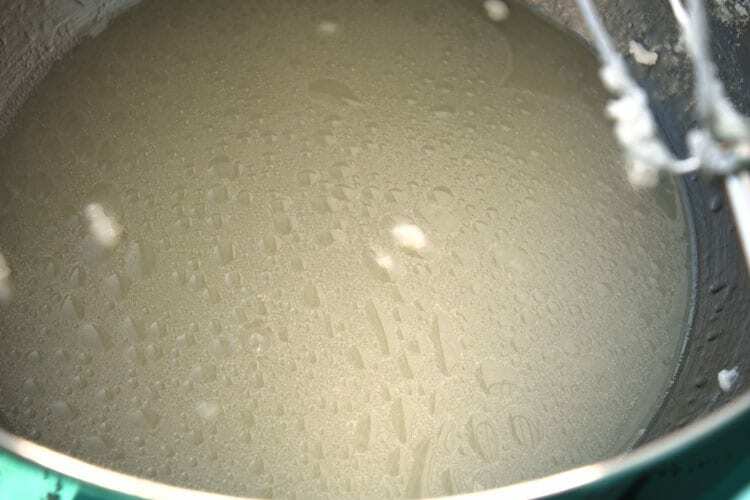 Sprinkle 1 tablespoon sugar onto the mixture to feed the yeast. Stir mixture with a spatula. Set yeast aside to rise. A good spot for this is on top of the stove. 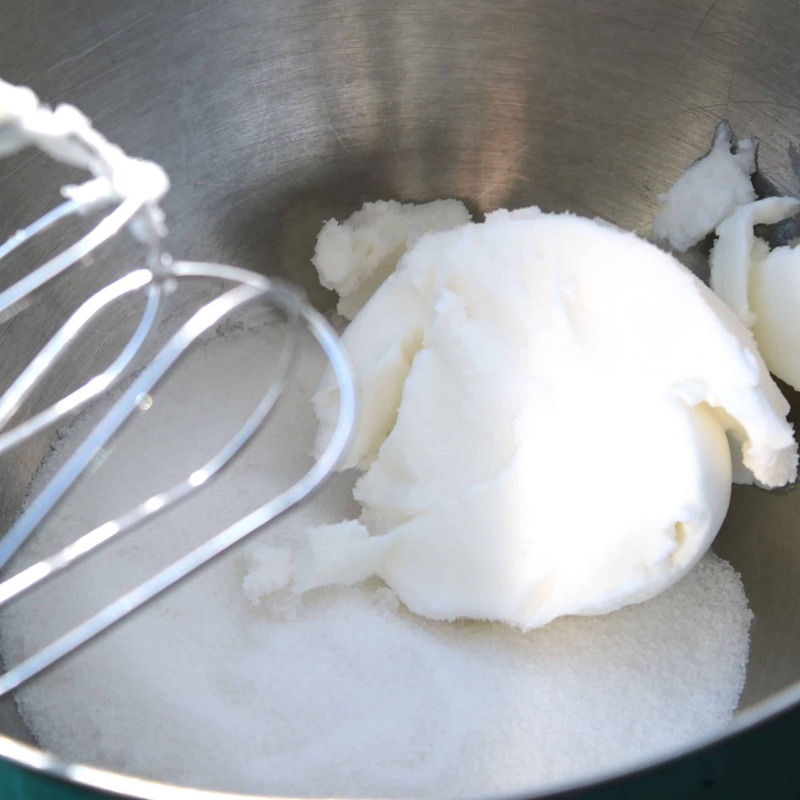 Step #2: In a large bowl, mix together Crisco and sugar using an electric mixer. 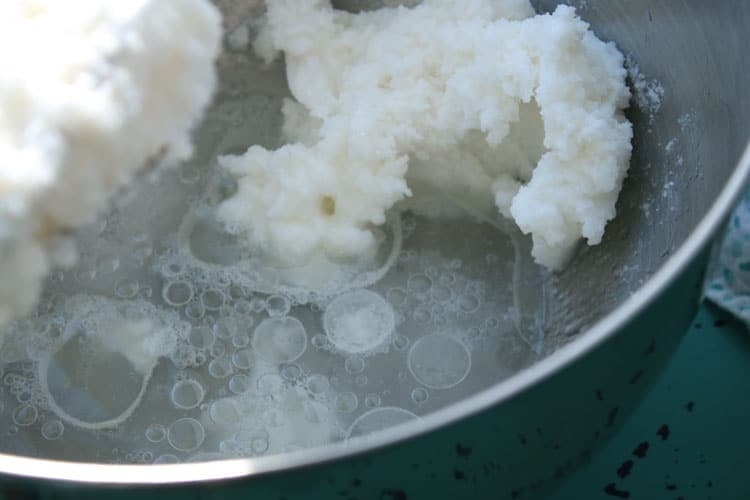 After the Crisco and sugar are mixed together, add boiling water to the bowl. Stir or mix together on low speed until the mixture is clear and fully incorporated. 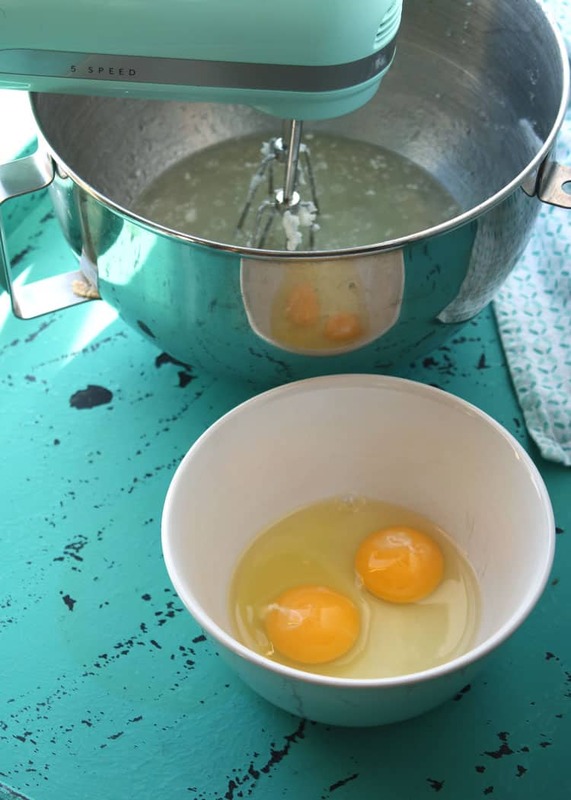 Step #3: Add eggs to mixture and blend. Step #4: Then add in the yeast and mix together gently. 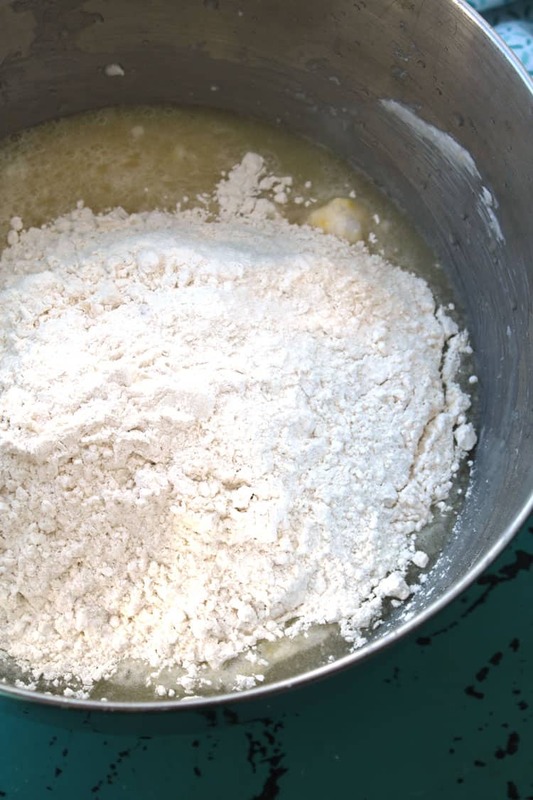 Step #5: Mix together flour and salt, and then add in half of the flour at a time to the liquids until the flour is blended thoroughly. Step #6: Your easy yeast rolls are coming together! Lightly coat bowl in oil (about 1 tablespoon around the edges should do) to keep the dough from sticking. Refrigerate overnight so the dough can rise. 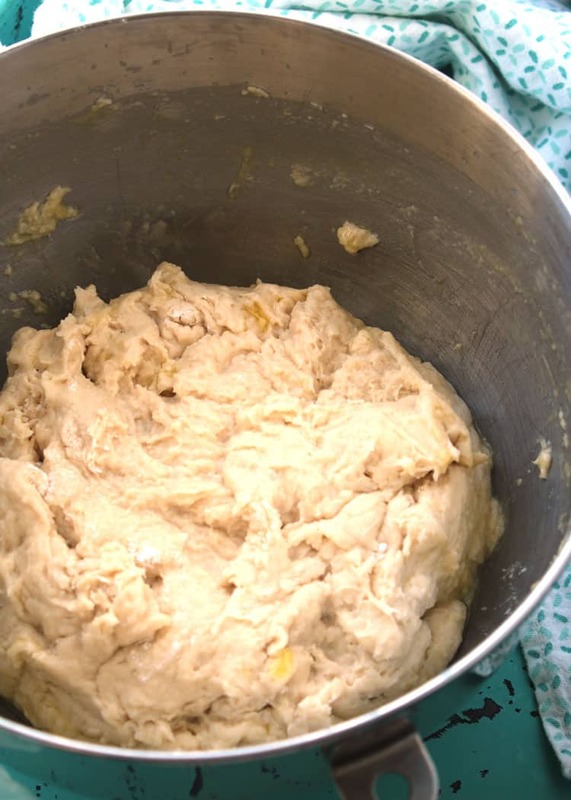 Step #7: After the dough has risen overnight, it’s time to prepare the dough to make the easy yeast rolls! 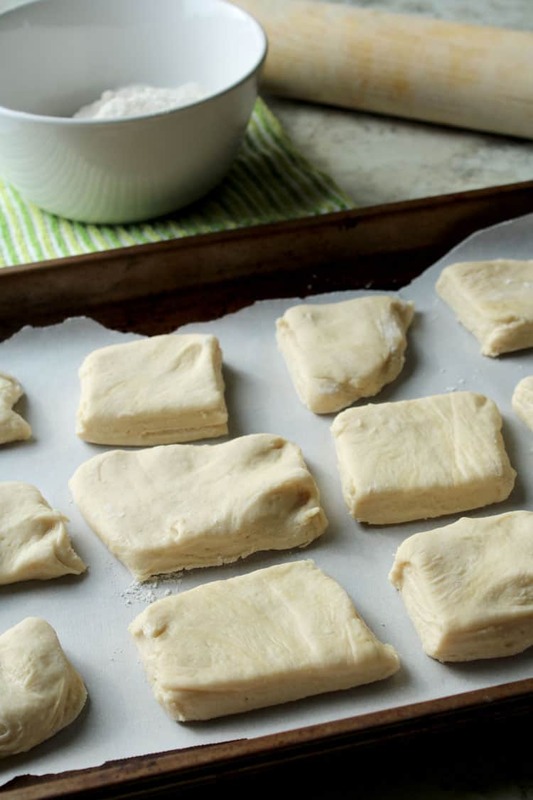 Roll the homemade yeast rolls dough out onto a floured surface to 1 1/4″ thickness. Cut the dough to your desired size. Step #8: Place dough on a cookie sheet (greased or covered with parchment paper), cover it with a cloth, and then let the dough rise in a warm place for two hours. Step #9: Bake at 400 degrees until golden brown (about 20-30 minutes). Remove from oven and enjoy! This recipe is so easy to make. This time I used half of the dough for yeast rolls and the other half made a batch of Cinnamon Rolls. 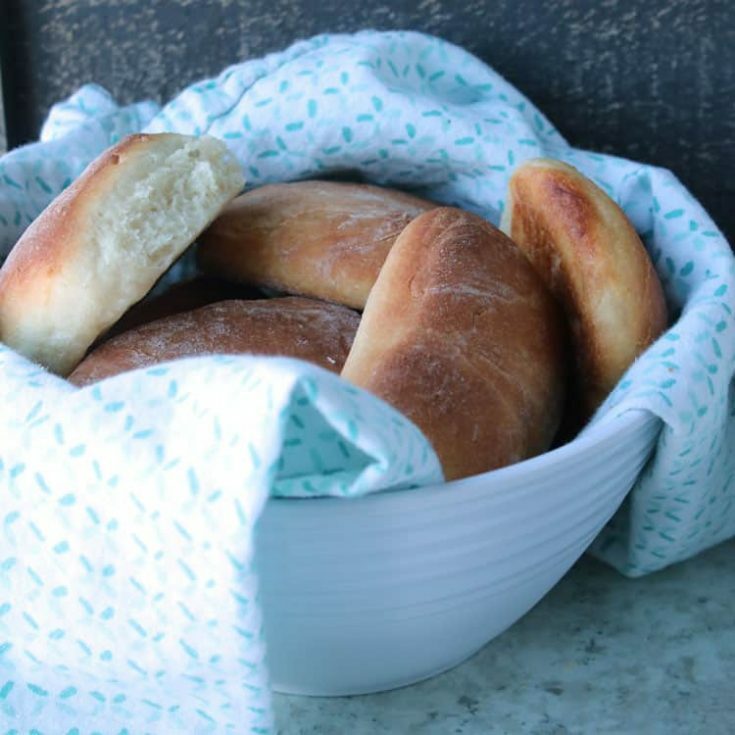 If you love fresh bread, you will love this recipe! Once you’re done making these rolls and the similar Cinnamon Rolls recipe, how about trying these Maple Bacon Peanut Butter Rolls? These easy yeast rolls are simple to make and taste amazing! In medium bowl, put 1 cup warm water. Add yeast and sprinkle 1 tablespoon sugar to feed yeast, stir gently with rubber spatula, set on stove to stay warm and rise. 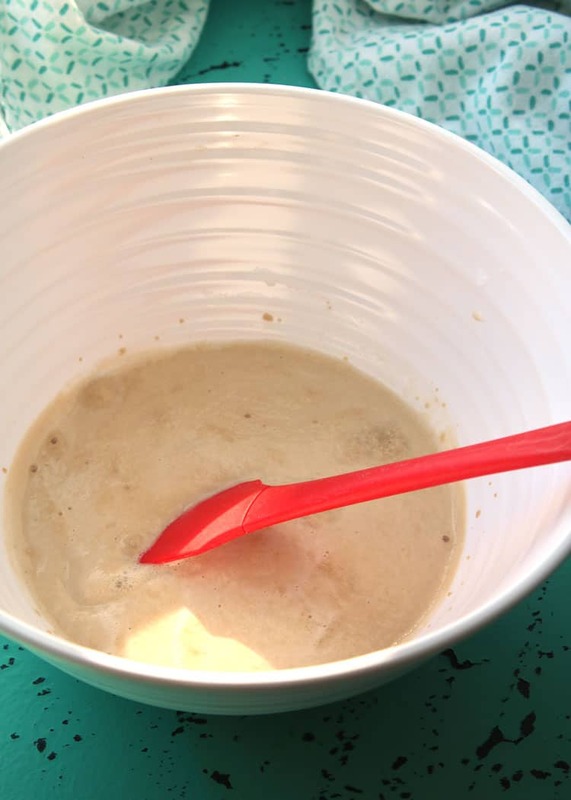 Meanwhile, in large bowl with lid combine sugar and Crisco and blend with electric mixer. Add boiling water and blend until clear. Add yeast and blend again gently. Now add half of flour and salt mix and blend. 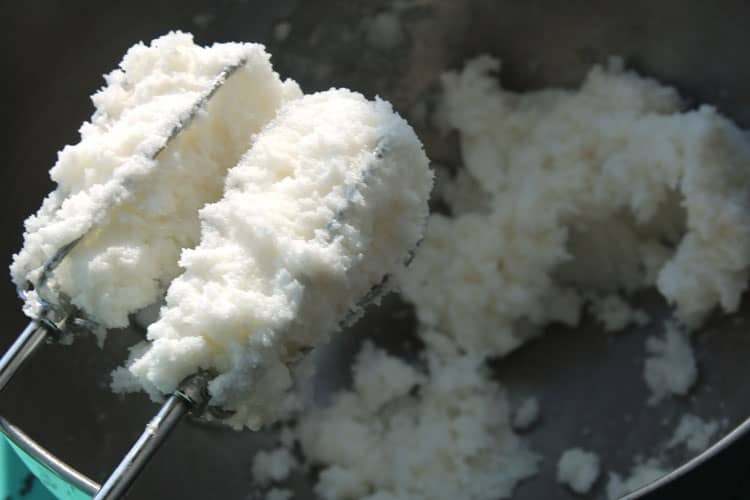 Add remaining flour and with hand, work until all flour is blended thoroughly. Pour about 1 tablespoon cooking oil around edge of mix and spread up sides of bowl to prevent sticking. Cover and refrigerate overnight. Roll out on floured surface to 1 1/4" thick, cut to desired size. Place on greased sheet, cover with cloth and let rise in warm place for about two hours. Bake on the middle rack at 400 degrees until golden brown (about 20-30 minutes, but check after 20 minutes). "Prep time" (and "total time") includes rise time. Melissa is a contributor for All She Cooks and also owns and operates her own blog featuring Recipes, DIY and Home projects. You can find Melissa on Facebook, Pinterest, Twitter and her blog MelClaire.com.